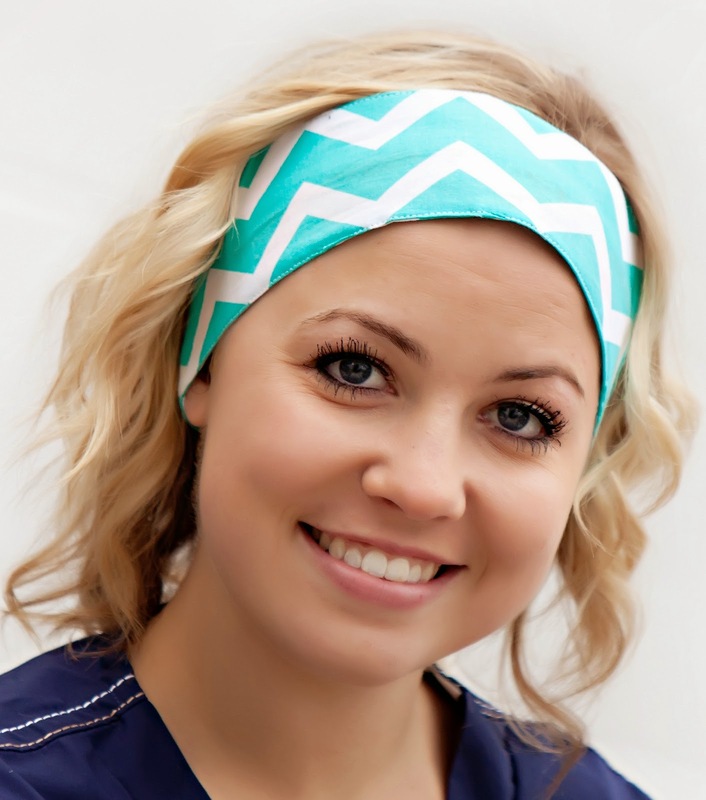 Our 2-toned style 7s are our traditional style 7, but features a fabulously cute contrasting band to accentuate the main fabric of the cap. 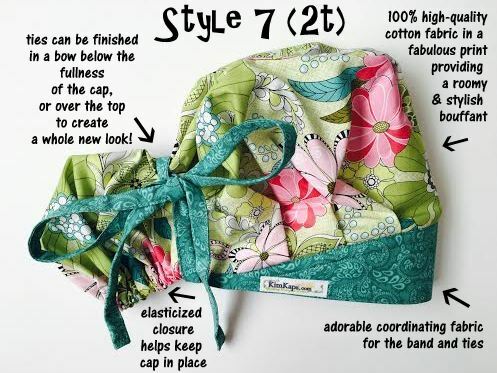 You'll still find the same fullness of style 7, complete with convenient fabric ties that will offer a close fit and an added dose of cute. 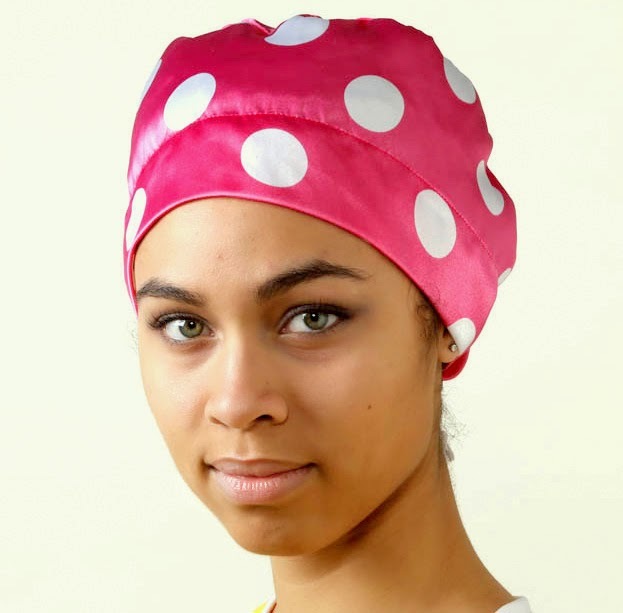 You'll love the versatility of this style, which gives you the option to tie under the cap in classic bouffant style, or cinched over the top to create a whole new look! You’re going to look so cute! 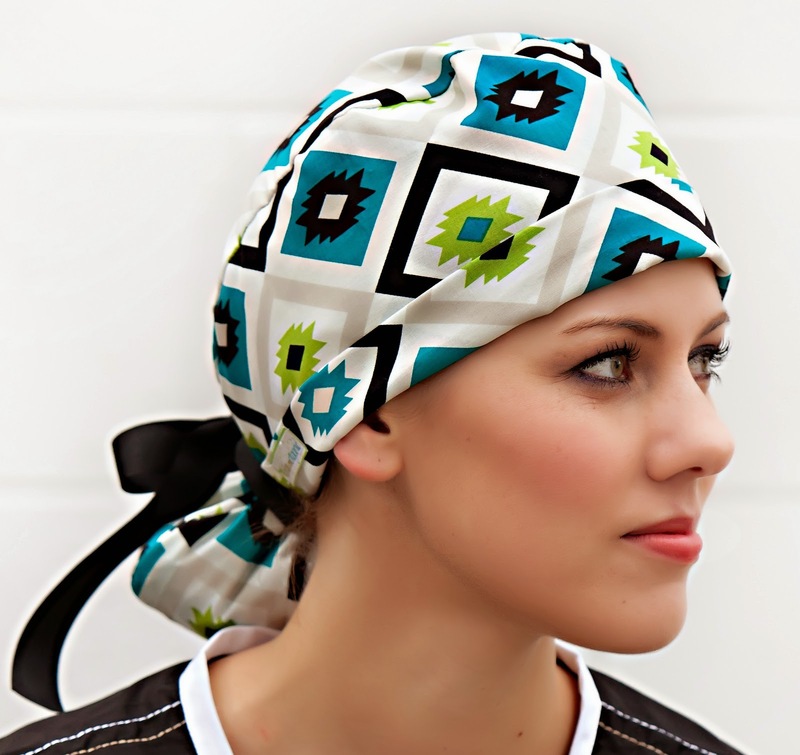 We are more than just hats! 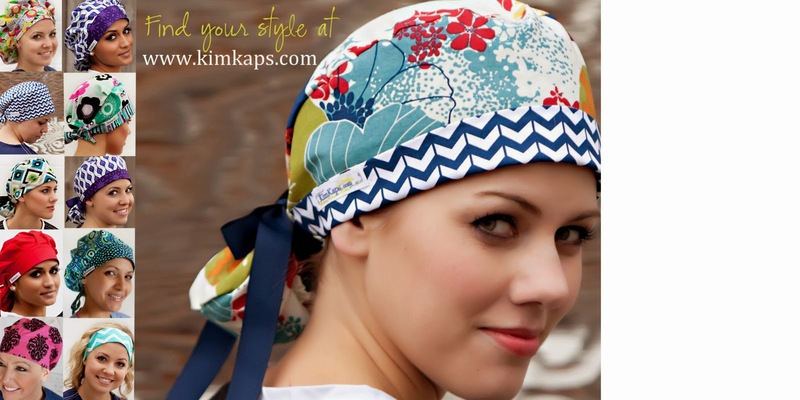 The KimKaps brand has expanded to include Posie Scrubs and a line of Must-Have Accessories, including our one-of-a-kind Stetty's Stethoscope Covers! 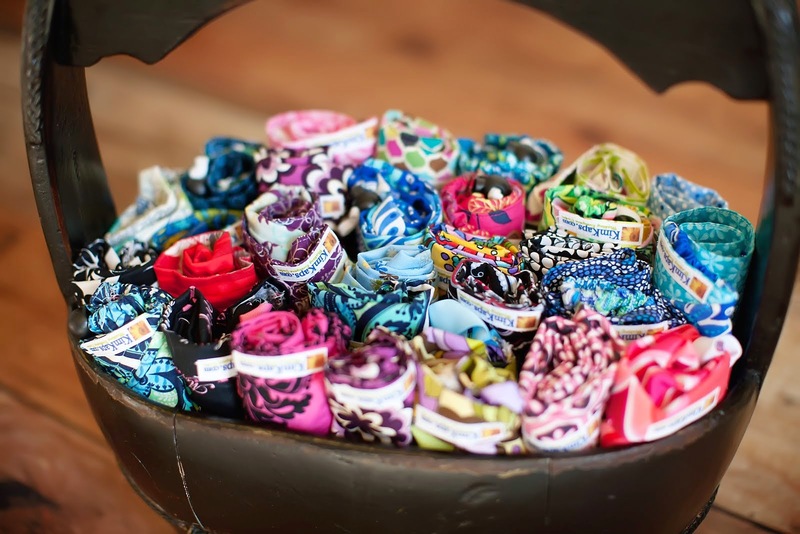 To learn more about any of our products, which are all handmade in the USA, click the pictures below. 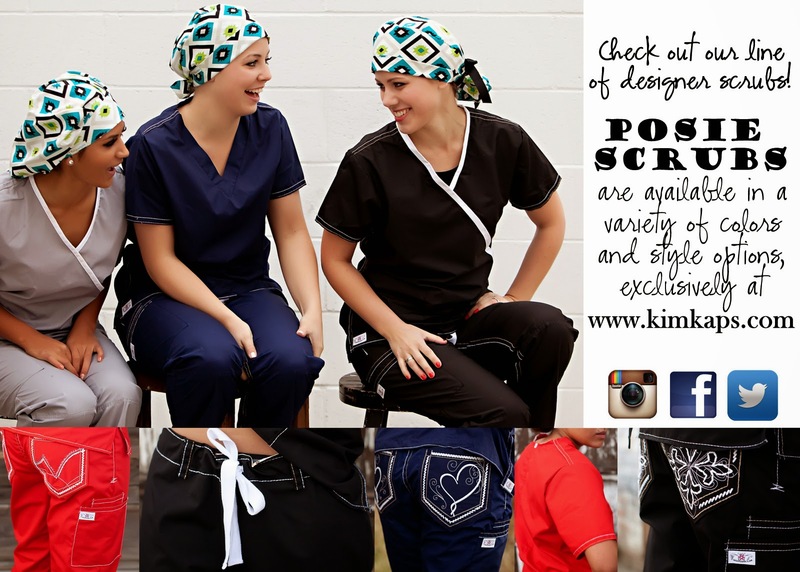 Click on the picture to view our complete line of designer POSIE SCRUBS and to place your order. For sizing information see our FAQ section. 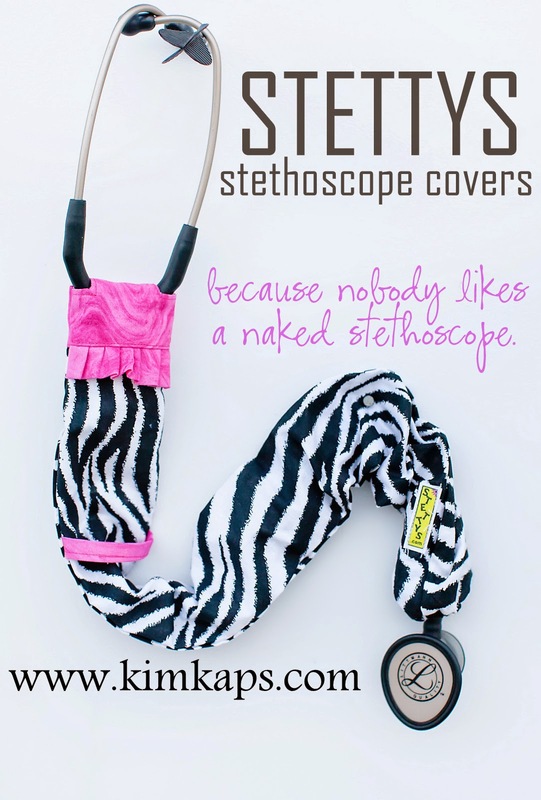 Click on the picture to view our complete line of Stettys Stethoscope Covers and to place your order! 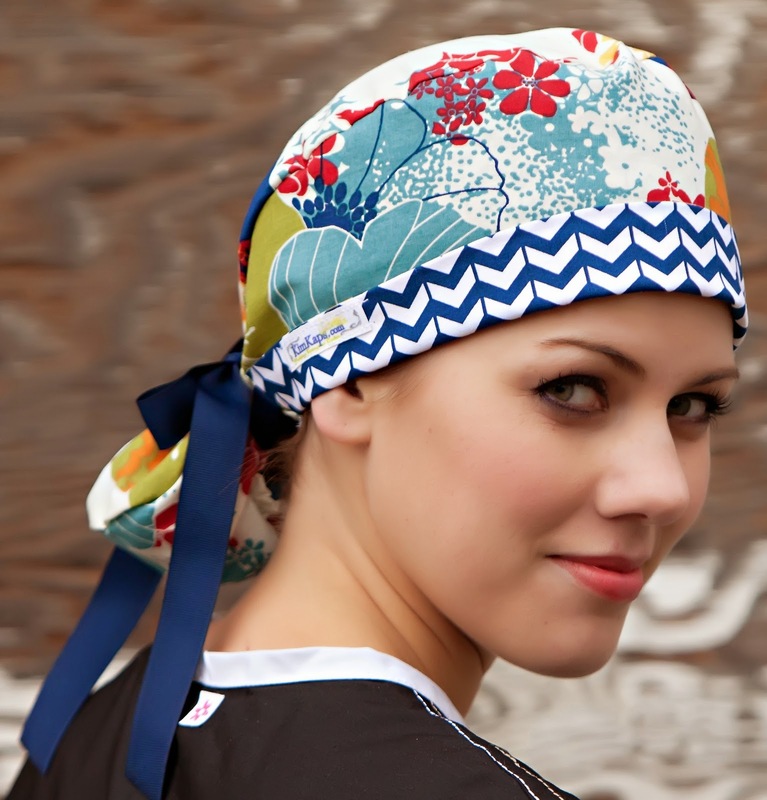 Click the photo for more info on our one-of-a-kind Custom Kap option, you can send us your choice of fabric and select any of our 8 fabulous styles for just $10/hat! Have a question? Click on the above picture to check our F.A.Q. section to see if your answer is there. If not, please contact us by email or phone. Want To Know More About KimKaps? Check out the links below to find out more about us, the causes we love to support, and even meet some of our cute customers! Meet some of our cute customers! Click on the photo and let us introduce you to some of our KimKappers! 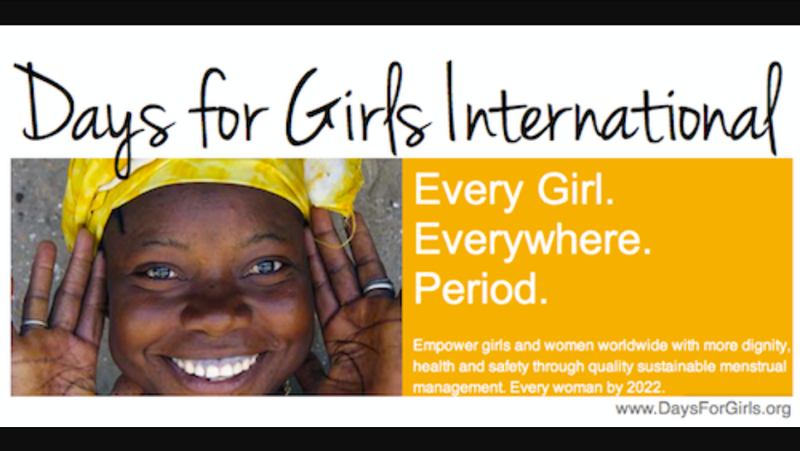 At KimKaps we love giving back, read about the causes we love to support! 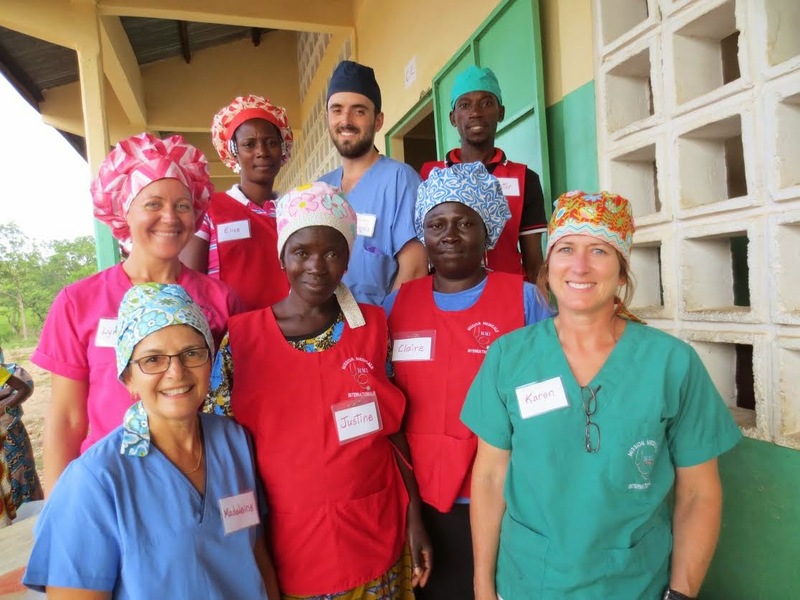 KimKaps was started by a surgical nurse longing for an alternative to the disposable blue “mops” she and the rest of the surgical team wore on their heads during their long hours in the OR. 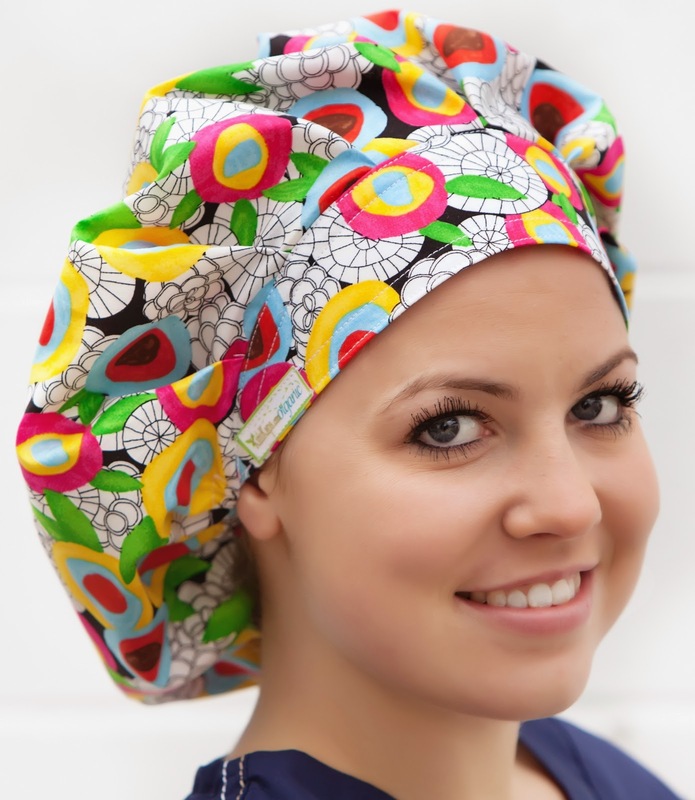 She knew these mops contain fiberglass, which damages and breaks hair, and that their disposable nature discourages environmentally-friendly practices. But most of all, she knew these mops are UGLY! 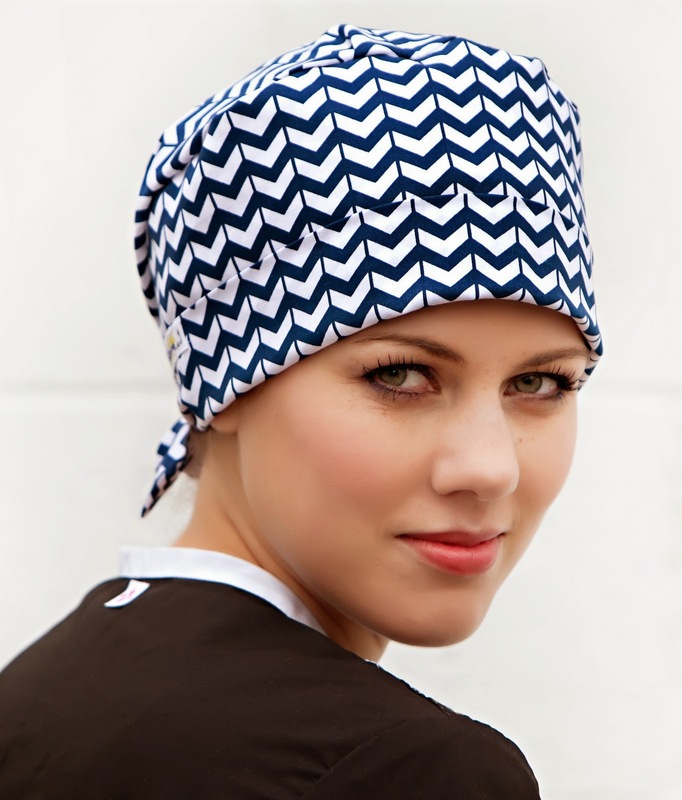 She designed and began making 100% cotton scrub hats for herself out of the cutest and most durable fabrics she could find, and soon began outfitting the surgical teams in her hospital with her creations when her colleagues begged her to make them cuter in the OR, too! 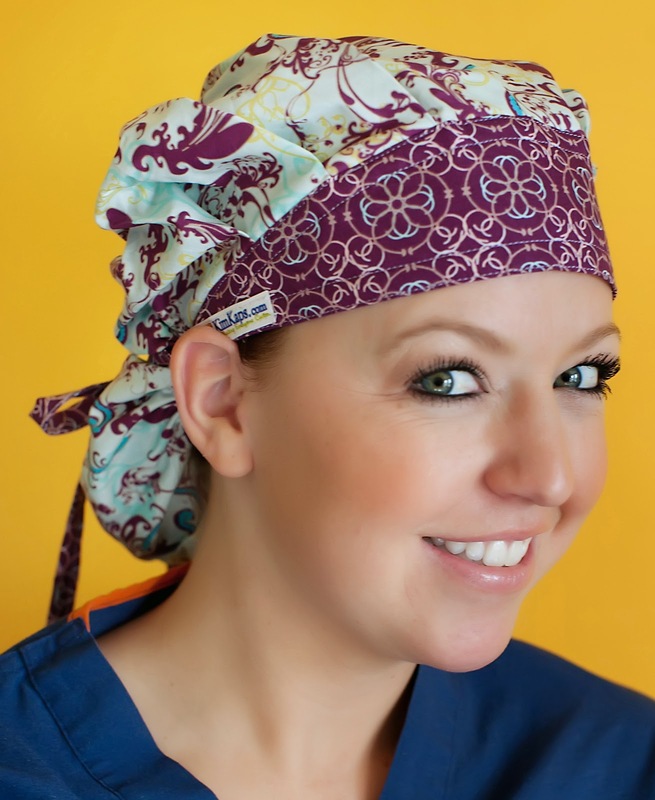 Since launching KimKaps, Kim and her creative team have brought a world of cute to the world of scrubs with distinct styles of scrub hats in dozens of fabulous fabric choices. 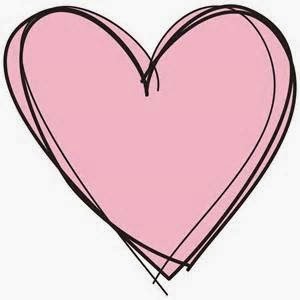 Click on the heart and read why real KimKappers love our products! Tag us in your pics for chances to win our products! For more info on our products, promotions, and chances to win! 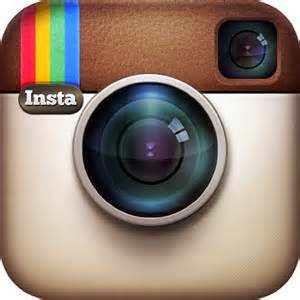 Follow us for tweets about all the latest KimKaps news! 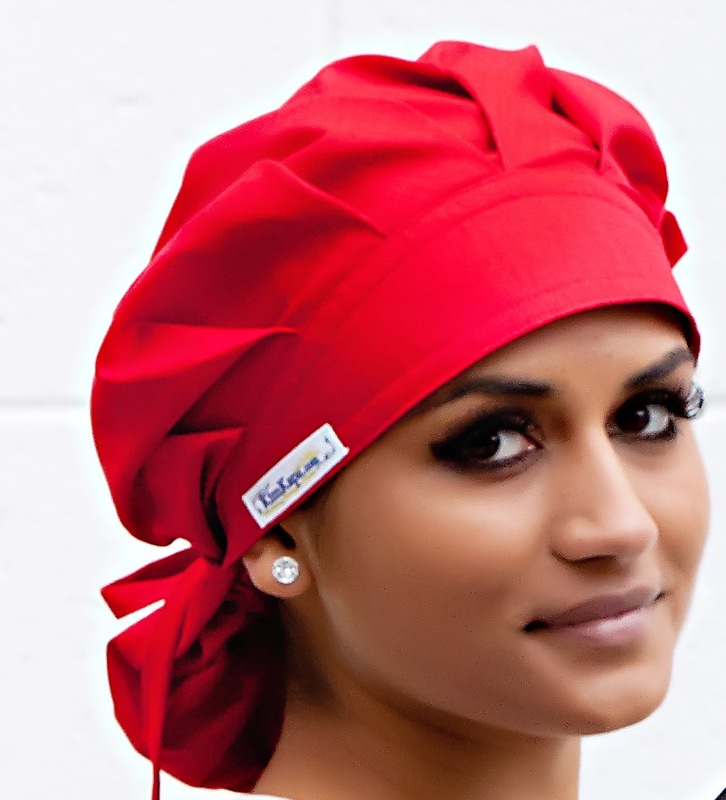 All of our KimKaps are handmade in the USA. 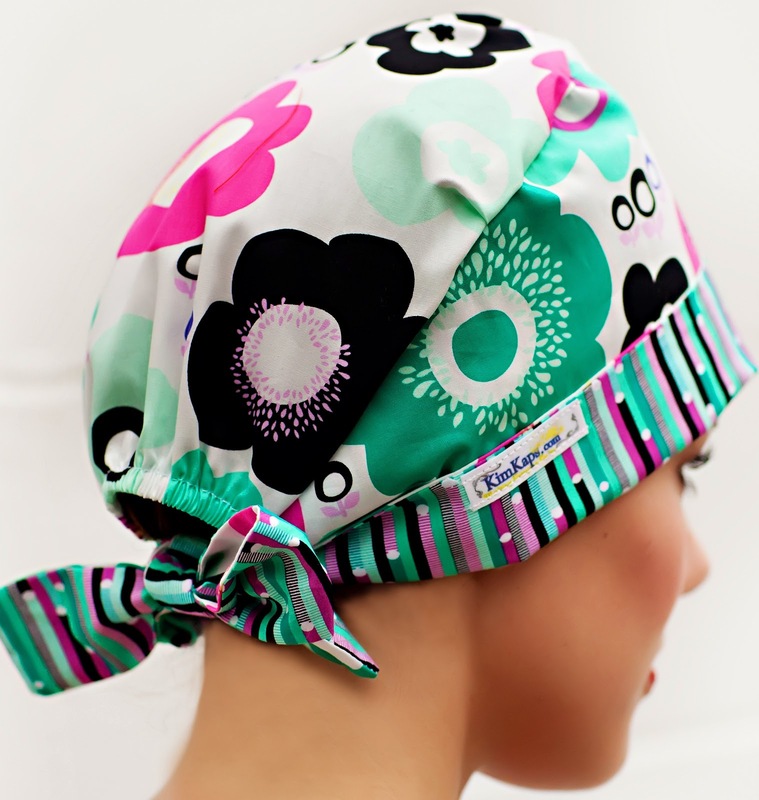 Click any of the pictures below to find out more about each style we offer! 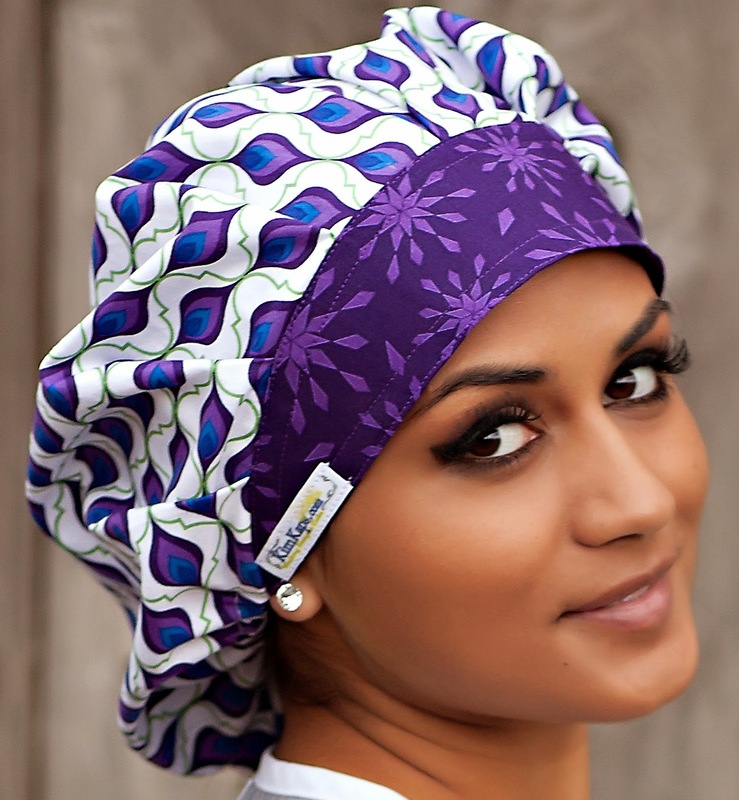 Visit us at www.kimkaps.com to view our endless fabric selection and to place your order.